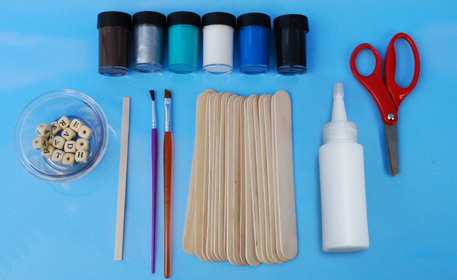 Make this Father's Day craft using wood sticks and alphabet beads! 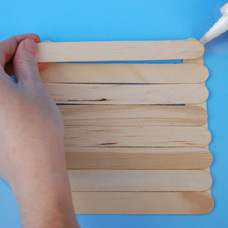 Glue (4) Jumbo Wood Craft Sticks together to form a square. This will be the back of the frame. 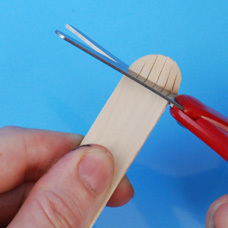 Finish the square by gluing a total of (8) Wood Craft Sticks to the original square. You will have a total of (12) Wood Craft Sticks when finished. Repeat Step 2 to make an additional square. This will be the front of your frame. 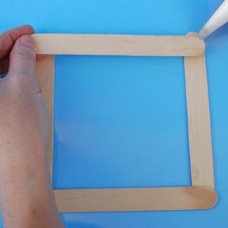 Once you have made a square for the front of the frame, glue an additional Wood Craft Stick at the top of the frame and two additional craft sticks at the bottom of the frame. For fun we glued the craft sticks at slight angles. You should now have a front piece of the frame that is open in the center and a back piece of the frame that is completely closed. Cut (8) small pieces of wood from a Wood Craft Stick. These will be known as wooden spacers. Glue (2) small wooden spacers from Step 7 to each corner on the back of the wooden frame. 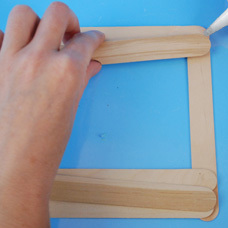 Glue the front of the frame to the back of the frame. 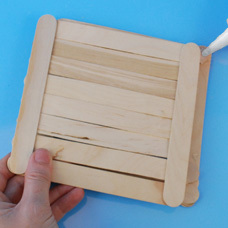 Make sure that the wooden spacers create a small amount of space between each piece of the frame. 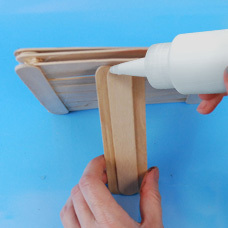 On the bottom edge of the picture frame, glue (1) Skinny Stick. 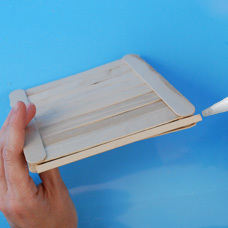 This will give your frame a flat surface on which to stand when on display. Paint the frame. We added water to our brown Acrylic Paint to create a wood stain look. 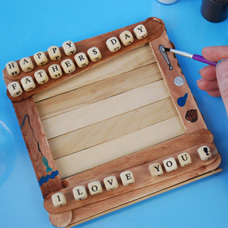 Glue Wood Alphabet Beads to spell a special message to Dad on the front of the frame. Accent the sides of the frame with painted images for added decoration. 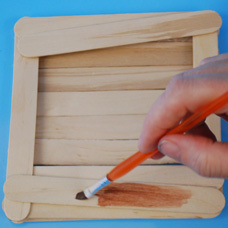 Add a stand to your picture frame by gluing three Wood Craft Sticks together and then gluing them at an angle to the back of your frame. 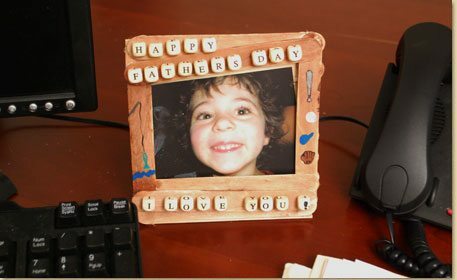 Slip in a photo into the front of the frame and surprise Dad with your creation on Father’s Day!